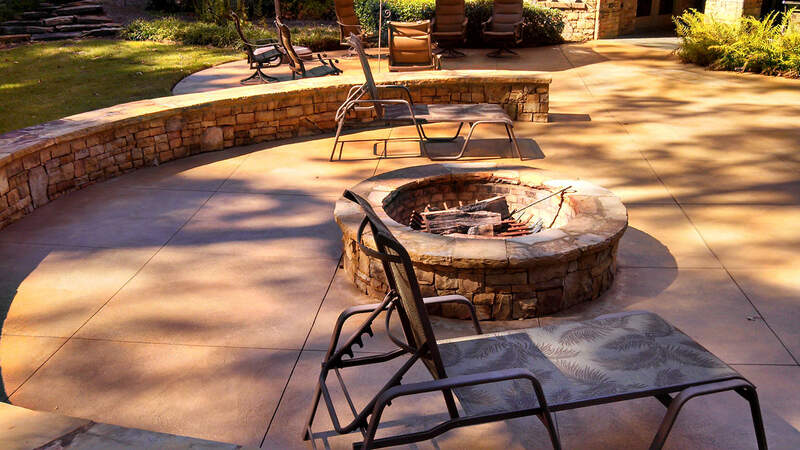 Here at Concrete By Design, you get world-class decorative concrete that elevates your property to the next level. Whether you’re looking for a customized entrance to your business or a stylized addition to your own home; Concrete By Design will deliver the expertise and finesse that makes your project a success. You’re in the best hands. Lead by visionary artist Leroy Brown, Concrete By Design has provided expert concrete design for clients throughout the Metro Atlanta area and beyond for over a decade. 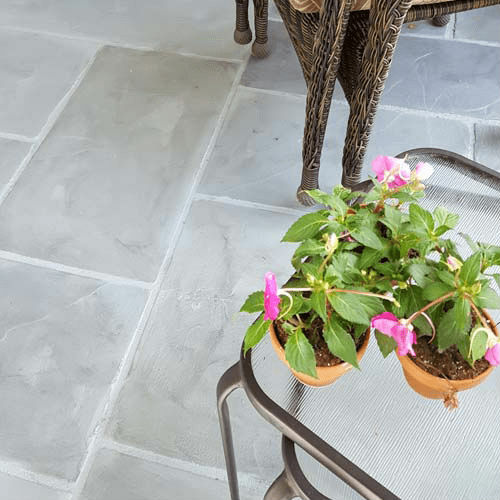 From simple concrete resurfacing, stamping, and sealing, to large-scale design and installation, Concrete By Design gives you a stellar experience and results you’ll love. 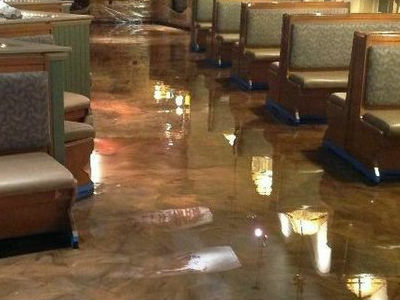 "The floor looks fantastic! Great job on the black stain, and the oranges repair patches blend real well too. Very exciting!" "Their work, finished product & clean-up was good. 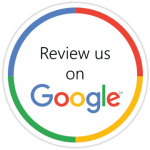 I would recommend them, and will use them again on another future projects." We know you have important deadlines, and that you simply don’t have time to wait. That’s why we make sure we’re here right when you need. 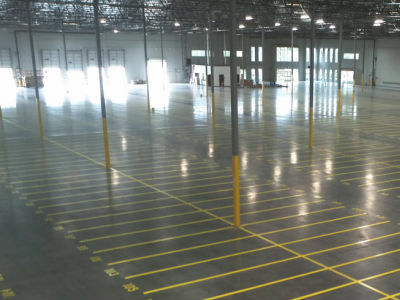 Whether you’re looking for expert concrete resurfacing, stamping, or sealing, or you want to complete a large-scale installation to perfection; your search ends here. Simply give us a call at (678) 378-5963, and our friendly team is at your side. Staining concrete brings a color development to your concrete that no other application will bring. Instead of a solid colored surface that you would achieve with paint, staining creates a unique look that is based on the interaction between the stain and your concrete surface. It is increasingly popular in homes, restaurants, boutiques, salons, and other businesses. 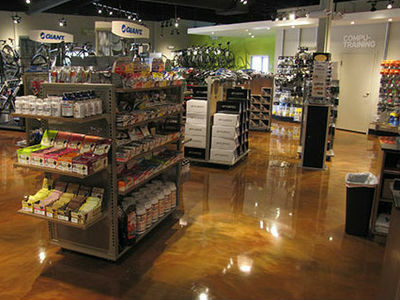 Epoxy floors are a great option when looking to elevate the look of the concrete, while adding an incredibly strong topcoat. The coating is a two part system that creates a bond that is stronger than the typical overlayment. 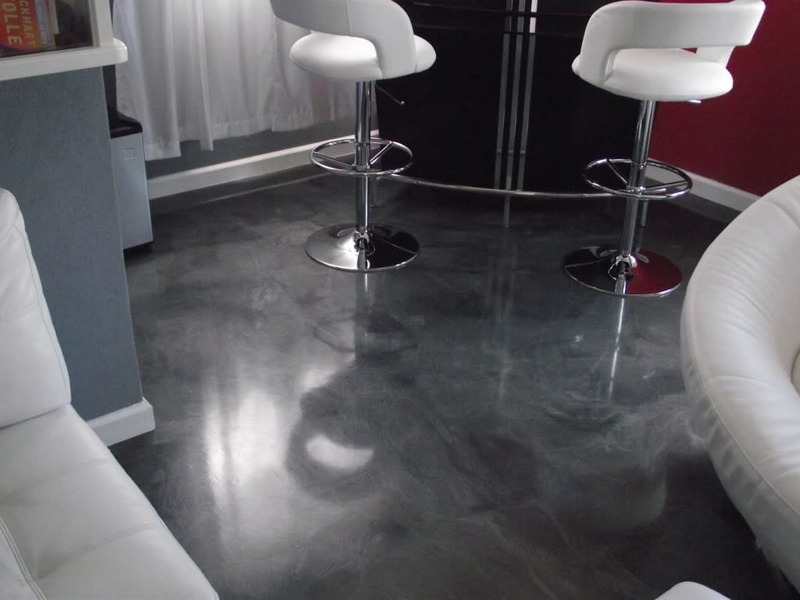 Coming in a variety of colors with options such as metallics and flake systems designed to look like quartz, epoxy floors are popular in garages, basements, main living areas, kitchens, and business of all types. Anytime you have imperfections, hairline cracks, or other defects in your concrete, a resurfacing product is the way to go. By using these systems, you are able to repair and recreate the concrete instead of ripping it up and replacing it. Once the repairs are made and an overlay is placed, you essentially have a blank slate to work with.